This beautiful handmade Wakami bracelet represents the Humpback Whale, an endangered species for the Hawaiian Islands. Humpback Whales have rebounded from a low of about 1,600 to more than 21,000 in the North Pacific Ocean today. 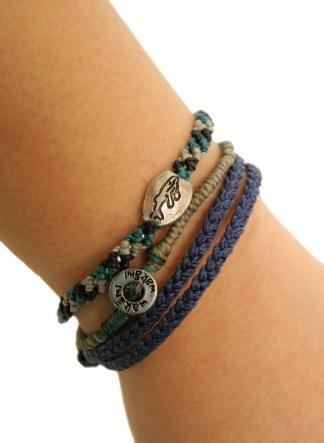 A portion of the proceeds will be donated to the Hawaii Wildlife Fund for each bracelet sold. Wakami is a global social brand that inspires people to connect dreams, create change and enjoy life, through fashion accessories. They work with artisans in disconnected rural communities and connect them with urban markets around the world.